I got your greetings right here. Oh! Fuhgeddaboudit. I’m from the land of opportunity, where the streets are paved in gold[en tanning lotion] and the hills run with honey [-colored highlights]. Where, when driving 35 miles east to work, I pass not one, not two, but three shopping malls. Fuhgeddaboudit. I am likely no more than 3 degrees of separation from all of these people. Being from “The Garden State” can be confusing. People fly into Newark Airport and, if not distracted by the acrid smell of industry’s finest power plants, come to realize there isn’t a flower or turnip in sight*. Fuhgeddaboudit. Previous postOh No. I Have Crazy Eyes. Next postYou Don’t Know Billy on the Street?!?!?! LOL!! Happy to report all the books are safe in my home. Whew! Er, yeah, here too… yup. Yup yup. Um, I’m just going to log off now, but NOT to watch Jersey Shore on the DVR. Ha ha. Don’t be silly. I had a comment, but I like totally forgot about it. So said the California girl. LOL! PERFECT comment. Like, super epic. I’m in Jersey too. Most of the times I hear someone say “fuhgeddaboudit” it’s because I’m not quite understanding what it is they’re saying and they’re so frustrated they want me to just drop the issue. We’re not much for conversation here as you well know. I did not know this about you. How did I not know this about you? I took a few years of French in high school, but can barely ask where the bathroom is without causing Frenchie-Pierre types to simultaneously sniff in disdain and snort in amusement. Congratulations on mastering another language – those kind of skills are so useful in life. Ah yes, French. I took four years of it. Or should I say cuatro years? Yeah, don’t remember much either. What is it about that language? 5 years right here people. I got nada. Cava? Cava blah blah blah? I am from Indiana, not much here but corn stalks.. If you want something to do on a Friday night, we have mini golf, bowling, movies, the mall ( I can go through the whole thing in like a half hour), or a pool hall (just dont wear your hat backwards in there, they make you turn it around due to gang issues)… um yeah.. in winter skating or sledding.. we did just have an off-leash dog park added a few years ago.. but yeah, that’s about it! Toronto: according to the rest of Canada, the rudest place on earth (or at least, in Canada, eh?). Toronto: according to Torontonians, the only place on earth. No, seriously, there’s a city full of fuhgeddaboudit-speaking humans in the not-Toronto wasteland? With barns?! I didn’t think humans had started re-forming civilizations out past the GTA limits. Really?! I’ve been to Toronto and don’t remember encountering any rudeness! OMG. Am I too Jersey-jaded to notice?!?! And yes, you do have a barn, so there’s that. But I also have a barn. A pretty big one right in my backyard (see my blog header picture) along with some loopy cows. See, not only is Maine The place fashion goes to die it’s also the place where loopy cows are embraced and moose run rampant in the streets only to be hit by someone’s 1992 ford festiva. Hey, I’VE got a barn, too. Really! No cows or other livestock (unless you count one incontinent cat), but still. I KNEW we shared some common something that made us all so close and all, besides madly funny blogging skills. Everybody has a barn! Peg, you’re right! Barns unite us. Like NEIGHbors at heart. That is BAAAAAd a*s.
Your cows make me want to get up in the morning. That video of them running was spectacular! Oh and your Festiva comment cracked me up! I will be in Joy-zee this weekend!! Holla. Atlantic City specifically. You see, it’s my birthday. That’s right, we are living it up, high class, yo! Maryland: home of the crabs. Actually, I love steamed crabs, the Ravens, the Orioles (if they will ever win a damn game! ), the fantastic array of restaurants, culture, & entertainment options, it’s proximity to DC (even though I hardly ever go), and ocean city, MD. I hate the crime, the stupidity of people and government, my commute to work, the rampant drug abuse in the city, and the stupid Baltimore Grand Prix which stops me from getting in to work for 3 whole days (and with a 5 year renewal, yippee!). Holla!! And Happy Birthday! I had my bachelorette party in A.C., though sadly, we did not see Thunder Down Under. Your Maryland crab is to die for. Gah. This is a hard comment reply to type while starving. I don’t understand NJ. I have a cousin in Montclair and a friend in Cherry Hill and they tell me they are hours away from each other. Whaaaat? *do I smell a roadtrip experiment?! 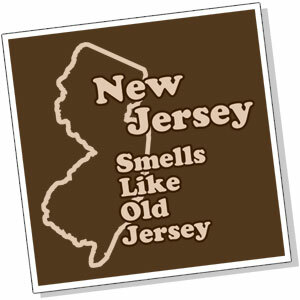 Or is that just the Newark Airport stench wafting west? Yo, like if you’re like three degrees separated from the hos on Jersey Shore, how many degrees separated is like this Virginian? If you’re looking for a meet and greet with Snooki, I just might be able to make that happen. I’d never fit in. There’s so much I still don’t know about my birth state. If you ever decide to return, I’ll greet you with a welcome kit. That is to say, I’ll cut you off in the parking lot and tell you what I really think of your mother. This is appropriately timed given a couple of comments just left on a friend’s Facebook status! Deb OK, I can’t even let ^ stand as a joke. I really don’t dislike OSU that much, whereas I love this A LOT. And you can get discounts on parking your hybrid! Just ask Byronic Man! Connecticut here. We’re famous for … snootiness, maybe. Do you have, like, a shed or something? ‘Cause I still seriously want to move into your house. I promise to tell people I’m your Feng Shui consultant. Jersey Shore….will I ever understand it? Fuhgeddaboudit! Anyways, California, what do I love/hate about you?!? hahaha I’ve got all night, Rocket! But perhaps we’ll need to use the time so I can explain the beauty of gym-ing, tanning and laundry-ing? I always get a kick when Oregon makes the news for some bizarre thing. Anything bizarre, either liberal hippie stuff, or “I don’t recognize the authority of your so-called government” stuff. I feel like Portland has always been hip and cool. 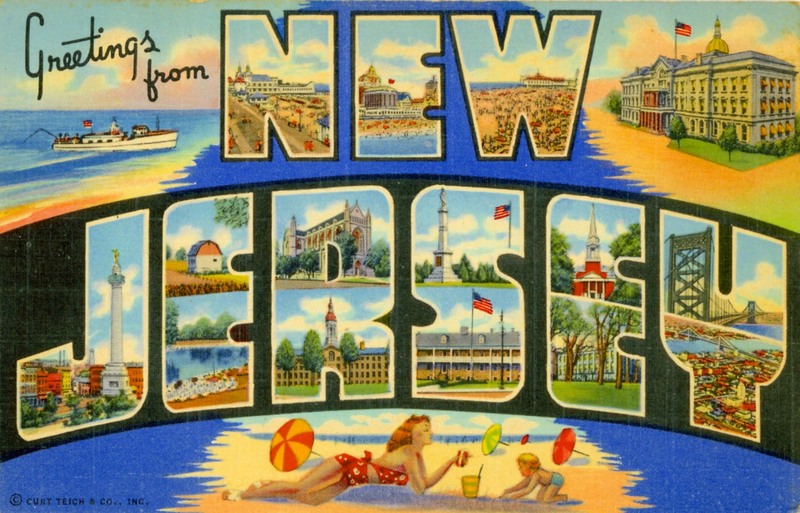 Maybe ’cause Jersey has never been hip and cool. Sopranos just made us even scarier. And I didn’t know you drove a hybrid. I’m so failing at stalking you. Next thing you know, I won’t even be able to secure a lock of your hair for my shrine. I forgot to tell you that while visiting the new and most awesome shooting range that recently opened in our fair state, I passed the 11th Hour Rescue shelter. Next time I go shooting I’m gonna bring them some paper towels, fuhgeddaboudit! Oh, Jackie, but where else can you find 3 malls to get your belly pierced/back tramp stamped-two-for-one-special within 15 minutes of each other? You are so right! I’m on the way! I’ll meet you at the Piercing Pagoda. I just have to stop off to get my car’s gas tank filled first. I think it’s so polite that they still pump for you. Perfect. Make sure you only ask for $5 worth. I honestly think they just don’t trust us to pump our own gas. And I honestly can’t say I blame them.